The story revolves around the comings and goings at No. 44 Scotland Street, a fictitious building in a real street in Edinburgh. Immediately recognisable are the Edinburgh chartered surveyor, stalwart of the Conservative Association, who dreams of membership of Scotland's most exclusive golf club. We have the pushy Stockbridge mother, and her prodigiously talented five-year-old son, who is making good progress with the saxophone and with his Italian. Then there is Domenica Macdonald who is that type of Edinburgh lady who sees herself as a citizen of a broader intellectual world. In McCall Smith's hands such characters retain charm and novelty, simultaneously arousing both mirth and empathy. 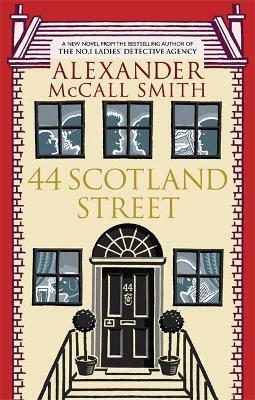 44 Scotland Street is vintage McCall Smith, tackling issues of trust and honesty, snobbery and hypocrisy, love and loss, but all with great lightness of touch. 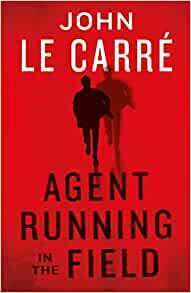 Clever, elegant and funny, this is a novel that provides huge entertainment but which is underpinned by the moral dilemmas of everyday life and the characters' struggles to resolve them. McCall Smith is a Professor of Medical Law as well as an author who has written over 50 books on a wide range of subjects: from Forensic Aspects of Sleep to The Criminal Law of Botswana, The Perfect Hamburger (children's fiction) to The 2 1/2 Pillars of Wisdom.